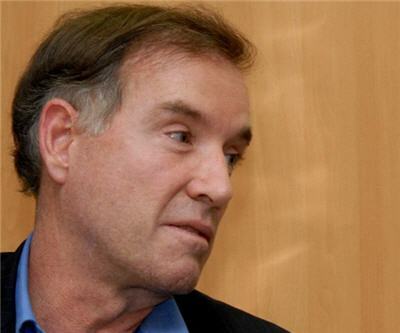 Brazil's Eike Fuhrken Batista famously said in 2008 – when his fortune was put at more than $6 billion – that his goal was to become the richest man in the world in five years. Fast forward to early 2012 and the flamboyant dealmaker – detractors may prefer arrogant peddler – is well on his way to achieving that goal with a bank balance of $35 billion, outearning even the most ruthless of Russia's oligarchs. What a difference a year makes. Batista has dropped out of the top 100 of the world's richest with more than $25 billion wiped off the value of the five public companies he controls through his EBX Group. Batista's empire stretches far and wide and apart from iron ore, gold (Batista's AUX is not listed yet) and copper mining involve a range of activities including oil exploration, power generation, sports management and shipbuilding. Publicly-listed in 2008, off-shore driller OGX was the main driving force behind Batista's fast-growing fortune. But the OGX share price has tumbled from highs of 25 Brazilian reals in October 2010 to an all-time low of 1.5 last week. Batista has been using his holdings in the companies he controls as collateral for loans to build up EBX Group, but as the declines accelerate the loans are being recalled and investor fears that the he won't be able to meet commitments are growing. Mike Weir of Dow Jones Banking Intelligenceoffers some free advice on how to make sure the Batista bubble does not burst and in the process takes a couple of sideswipes at the Brazilian brand of state capitalism that has led to the precarious situation. Much that troubles Brazilian oil–nationalist procurement regulations and technical challenge–is captured by the OGX saga. Financial problems at OGX are immediate: the result of a culture of over-promising and under-delivering. Past analyses of the company's prospects were based on its own data, which proved optimistic. Independent audits have given analysts more clarity. Interest expenses are expected to reach $360 million this year, according to Factset consensus, while capital expenditure is forecast to be $1.25 billion. That is uncomfortably close to the company's $1.7 billion cash balance and leaves zero room for the operational flexibility OGX so obviously needs. The situation is also a headache for Mr. Batista, given that OGX has the option to require him to purchase $1 billion of stock at BRL6.30 ($3.14) per share. Batista's cash will help, and as the ultimate owner he should be paying for OGX's folly, but it is his leadership that has led OGX to its current situation. From a value perspective, outside investment and expertise would be better. Beyond Mr. Batista's equity injection, the company should also bullet-proof its balance sheet by pursuing asset disposals and a stake sale.